Simple concept, strong message and a fast turnaround. 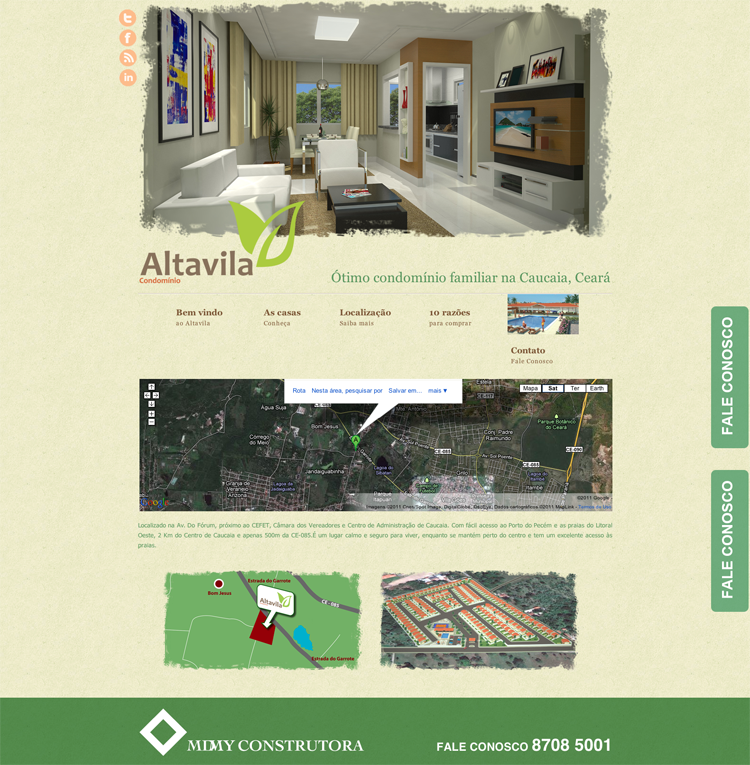 : this hotsite is created for MDMY Construtores, for a private development project in Caucaia, Ceará. It is the first in a line of sites for MDMY. 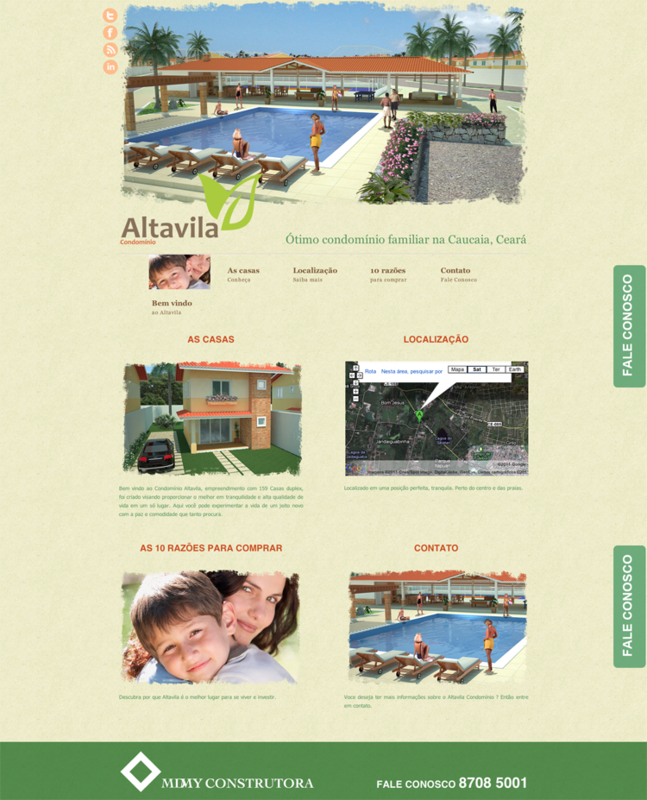 The site will be expanded in the future; it will grow to maturity together with the building project itself. 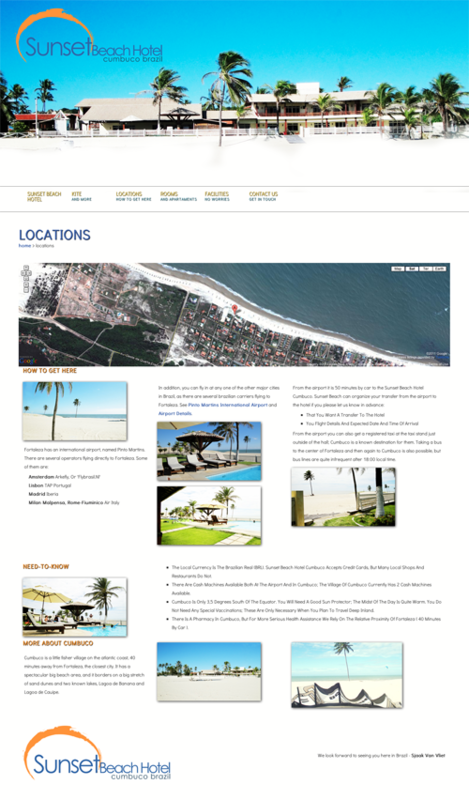 A new website concept for the Sunset Beach Hotel in Cumbuco, Ceará. 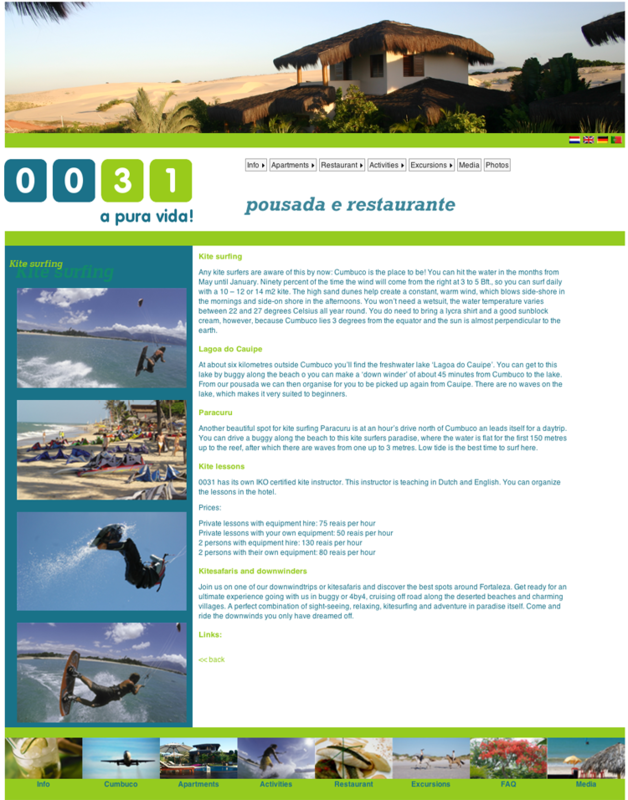 A big-screen design; sporting a separate kite-surfers 'landing area', with an interactive scrolling panorama to bring you as close to this kite-surfing playground as possible. 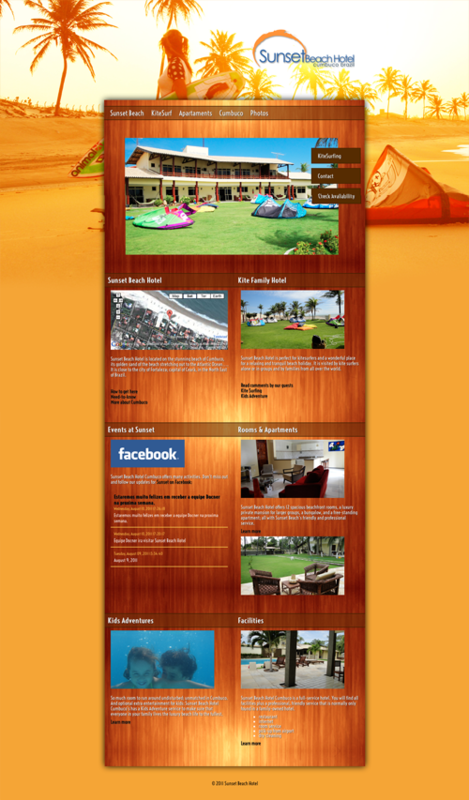 On-site Facebook integration, and (in development) an online reservation system. We are showing the original design; on request we also produced a second design to cater for a warmer and more conventional feelling. We like both - you be the judge. 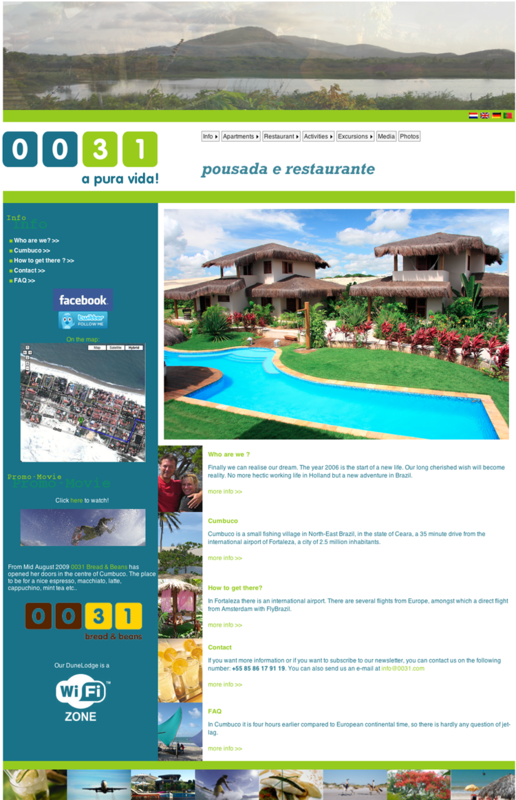 A website for a terrific restaurant-and-coffee-place in the center of cumbuco. 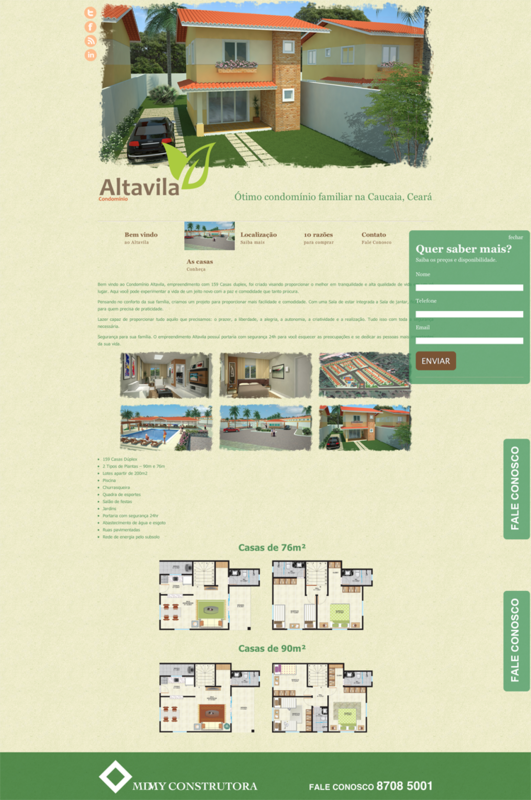 As the original design for this website was a good one and fit well with the house style of 0031, this website is not a new design but an upgrade of an existing one - why not. 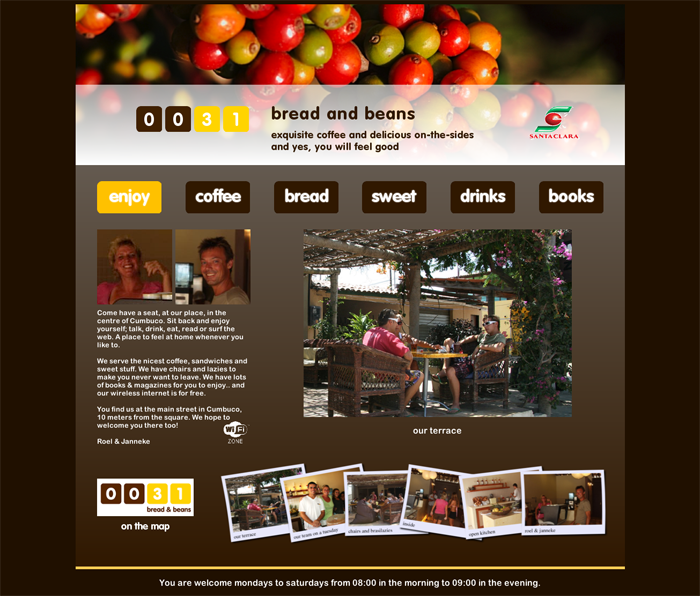 Modernized using much larger photo's and bringing the form technology up-to-date. 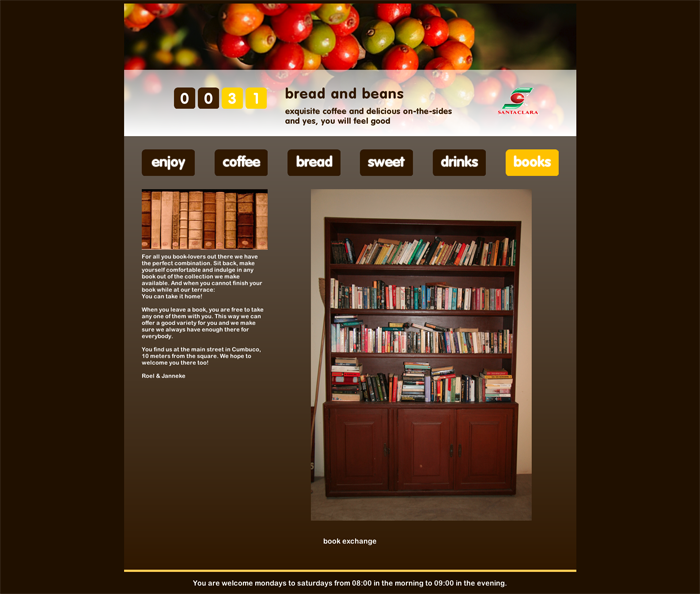 The site is also included into our Silcre Web Authoring System now; a situation that fits better for a site that has grown to be over 100 live pages large. The Ephorus Fetch Federation project created a federation of web spidering services, coordinated by a centralized controller. The project can process long lists of web sites and builds an index using a logically endless number of machines to retrieve, analyse and index text data. The controller distributes work over many machines, choosing the ones that are not actively working to start up the next site to be fetched. The fetching process is self-sustaining, yet the process allows operator intervention; for instance to dynamically add filters. Because of the sheer size of the indexed data, persistence is completely distributed and 'noSQL' . 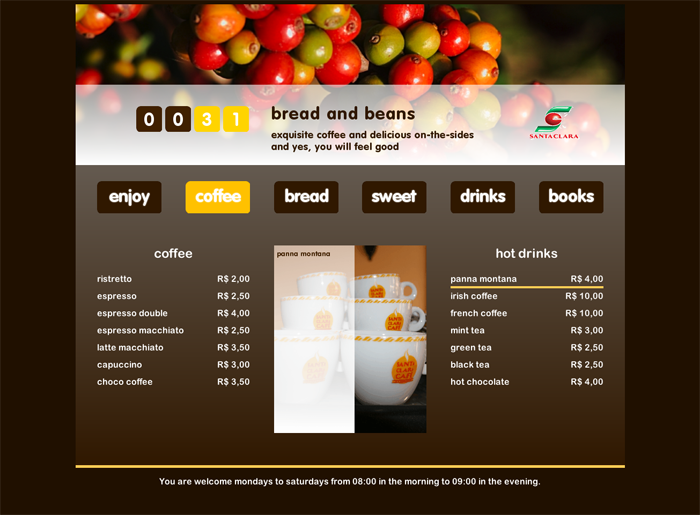 This project was created using core java for the actual worker services and Servlet API 2.5 / Jersey REST for the front-end. The controller uses a multicast-based service Lookup borrowed from the Jini infrastructure; for the rest all intra-service communication, including starting and stopping, is done using REST API's. All data and indexes are stored in the Hadoop HBase noSQL database. The Fetch Federation went live in the last week of June 2011.